I thought that it might be fun to have today's post focus on my nutrition journey to where I am today. 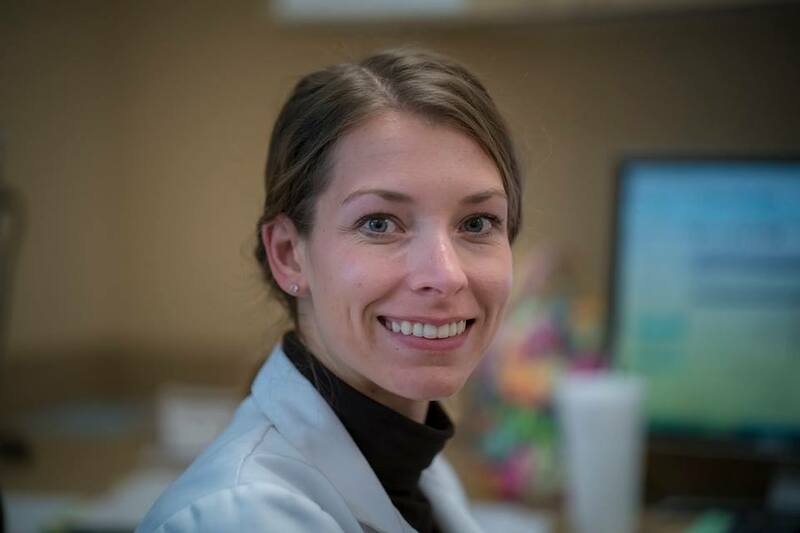 Most of the time I am writing about interesting nutrition topics (that are near and dear to my heart), but I thought I might give you a little back story about my own journey to becoming a NICU dietitian. I initially was interested in OT/PT in high school, but after job shadowing several PTs and working in a nursing home once a week for a semester in high school, I decided that wasn't for me. It didn't really enjoy touching people that much. I kind of preferred keeping my distance from the patients that I was working with. My mother encouraged me to look into nutrition and specifically dietetics. She kept telling me that having a credential, like the letters RDN after my name, would open up lots of doors for me. She was right! I went to Purdue and double majored in Dietetics and Nutrition, Fitness & Health. I was most interested in sports nutrition and that is where I wanted to work. I wanted to help athletes optimize their nutrition to improve their performance. After completely 4 years at Purdue, I did my internship through the Purdue Coordinated Program and graduated in August of 2011. After the completion of my internship, I took the RD Exam and passes and started working at St Elizabeth Hospital in Lafayette, IN. I originally wanted a job in sports nutrition, but quickly realized those positions were few and far between. Lots of them preferred a Master's degree as well. I decided that getting a job, starting to earn money and gaining work experience would be most worth my time. Unfortunately, a Master's in nutrition doesn't guarantee that you make significantly more money. I started working at St Elizabeth hospital and covered the cardiac, pediatric and NICU units. I also worked in outpatient pediatrics. This is where my love for pediatric nutrition started to develop. I really enjoyed being able to make nutrition changes and see the changes within a few days. I really loved working in pediatric outpatient and developing a relationship with those patients. After almost 3 years, I took a new job in Indianapolis, IN at St Vincent Women's Hospital working in the NICU. This was a huge leap of faith for me, but it has proven to be such a blessing. I knew that I enjoyed the NICU, but I being able to work in pediatric critical care full time has been such an amazing experience. I love being able to work with these critically ill patients, provide them with the best nutrition and then watch them grow, over come the odds and thrive to go home with their families. Photo taken by our pediatric surgeon (Evan Kokoska) for an album The People of Peyton Manning Children's Hospital. I have been able to do so many neat things over the years. I have been at St Vincent's Women's Hospital now for almost 4 years (as of April). I have had the opportunity work with lots of amazing people. 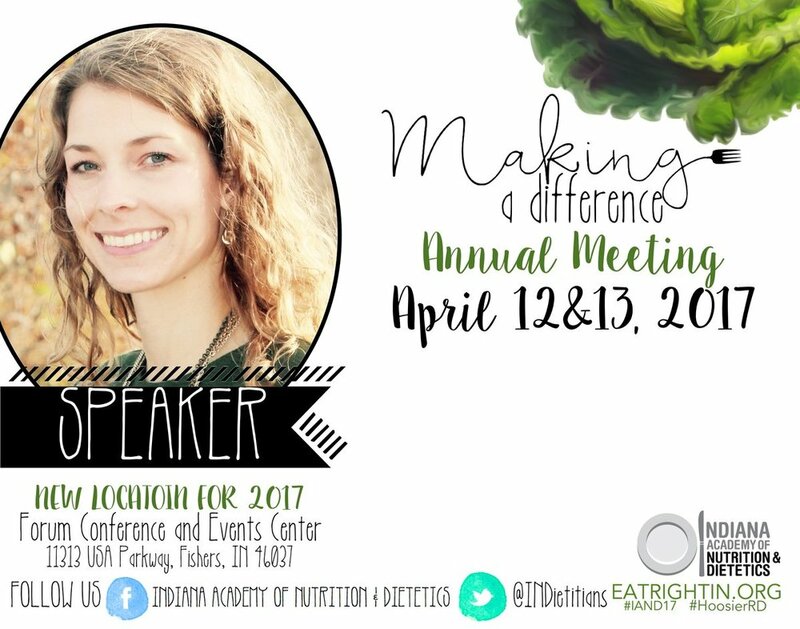 I was able to give a talk at the Indiana Academy of Nutrition and Dietetics Conference (IAND) last year on NICU Nutrition and the role of the RD in the NICU. I have been able to serve on the Academy of Nutrition & Dietetics (AND) Test Writing Committee for the new Certified Specialist in Pediatrics and Critical Care Exam (CSPCC). I had the opportunity to write a chapter in a Nutrition Communication book that will be published in the next year through the Academy of Nutrition & Dietetics. I have been able to serve on the IAND State Board on the Nomination Committee and exited to be on the local CIAND Board this upcoming year. I have been able to mentor lots of interns and excited to see them pursue their dreams as RDs. I have worked with amazing people and I am so excited for what is ahead for my career. Looking back on it, I am so thankful to have parents who cared about my future. Who pushed me to pursue my interests, paid to put me through school and supported me as I took leaps of faith with job and opportunity that has come my way. I have been a Registered Dietitian for 6 1/2 years and it has been such a fun journey! It has been awhile since I have spoken about my day job here on the blog. As you may recall, I work in a Neonatal Intensive Care Unit (NICU) and I am a pediatric dietitian. I work with newborn babies and I calculate their nutrition needs to help them grow appropriately since most of our patients are born early. Another part of the job, is helping to oversee our Formula Rooms. This is the part of the NICU where all of the feedings are put together/made for our patients in 24 hour batches. We help to schedule, oversee and hire the Formula Room Technicians that work in those mixing rooms. Sometimes the dietitians fill in those shifts as well if we don't have enough techs to fill the spots on a particular weekend. This last week I have had the opportunity to work in our Formula Rooms a couple of times. I am always impressed with our system and how we so accurately get all of our babies fed ~ 8 times a day. It is truly a well oiled machine and is so neat to be a part of that. I thought it might be neat to address some of the Frequently Asked Questions that I get about our Formula Room/NICU and how nutrition plays a role in that environment. Most people are surprised to learn that there are dietitians in the NICU and that we have a mixing room for feedings. What does a dietitian do in a NICU? This is a great question. The role of a dietitian in a NICU varies, but the main role is to help provide nutrition care to this specialty population. The RD serves as the nutrition expert on the medical team and provides guidance/advice to the neonatologist about the best feeding recipe for each patient. Each week the RD sees every patient in the NICU and writes up a nutrition note about their plan of care that week. The RD would suggestion what feeding option might be best for that patient, the avenue of administering the feeding, when start vitamins, how feedings might change based on lab values and monitor growth velocity and tweak the nutrition plan as needed. Do you just mix formula in the Formula Room? No. In our Formula Room we prepare ALL of the feedings for ALL of our patients and they are stored in a refrigerator in that room. The RN will come in and out of the Formula Room to get the feedings and take that aliquot to the bedside and feed the baby. Each patient has their own bin in the refrigerator and their feeding is in that bin for the RN to grab anywhere from 6-8 times per day. How do you feed your patients? In the NICU, since our patients are normally premature, our most common form of administering nutrition is via a feeding tube or via TPN. We prefer to use the GI tract and will try to give feedings via the feeding tube and we work to wean TPN support as soon as possible due to line infection risk and liver damage. Infants do not have their swallow/feeding reflex developed until ~34 weeks gestation and so that would be the point that with cues, we might start some bottle feedings. Do you feed your patients breast milk? Yes. Our goal is to use maternal breastmilk whenever possible. That is the gold standard for all of our babies, because it has so many protective properties. Some times there are medical diagnoses that prevent the use of breastmilk, but those cases are limited. Premature babies also need higher calories, more fat and more protein. They are born early and their nutrition needs are higher compared with a term infant. This means that unfortified breastmilk won't meet their nutrition needs so in the NICU we use different formula/fortifier to add to the breastmilk to increase the calories, protein, fat and other vitamins the infant is receiving. We have recipes that we use to mix these feedings and that is the primary role of our formula room technicians. They are the ones that will mix up these recipes for each baby in 24 hours batches and those feedings will be used throughout the day by the nursing staff. How much do you prepare each day in the Formula Room? Our technicians make 24 hour batches for all the babies that we are mixing for that day. Our NICU holds 90 babies and our nursery unit holds an additional 10 babies. There is the potential that we could mix for all 100 babies, but that is normally not the case. It is inevitable that there is a baby or two who are NPO (nothing by mouth). Our average census is ~70-80 patients at a time. Why do you have technicians mixing feedings compared with nursing staff? Nursing staff in some hospitals do mix feedings and they have at our hospital in the past. With this creation of a Formula Room space it is more conducive to having one person mixing up feedings compared with each RN mixing their feedings. It decreases the number of people in the room and would decrease risk of errors/infection risk. We work hard to make sure that our technicians are trained well and mix the feedings appropriately. This helps give the RNs more time at the bedside to do what they do best, provide that direct care for our babies. Hopefully this has given you a little better idea about what we do in the NICU and how we provide top-notch nutrition care to our patients. We have some of the sickest babies in the state at our hospital and I am so proud of our medical staff for the level of care that we provide each and every day! I have been thinking about writing a blog post about my job as a Registered Dietitian in a Neonatal Intensive Care Unit. I know some people have no idea what I do on a daily basis and even some of my family may be confused. But to start off this explanation we need to go back to high school. I met with a Dr Fadley who was a therapist of sorts. He meets with people, has you take a test and that then determines future occupation based on your interests/skills. He told me that I could go into dietetics, but it would be tough (and it was), but I would be best suited for special education and being a teacher. I kind of blew him off and thought that was ridiculous. Well here looking back about 10 years later ... I think Dr Fadley spoke some truth. I have a passion for helping those that can't always help themselves. I love working with people who have faced challenges in their lives - mental, emotional or physical. I have a special place in my heart for being that care giver and helping people. Looking back I can see that displayed in many ways, but I think in my current job it helps to sums up what I do every day. I help to provide care for the littlest of babies who aren't suppose to be born yet. All of us in the neonatal world, work to help them beat the odds and have a chance at life. Being able to be part of that team, who works to give each of these babies a fighting chance is amazing. I love it! My specific role as the dietitian is to calculate the nutritional needs for our neonates. I work with a team of neonatologists, speech therapists, nurses and dietary technicians to make sure that our babies are getting the best recipe for feedings to meet their unique needs. More goes into these calculations than just crunching numbers. As the dietitian, I have to be aware of various medical conditions that could have an impact on their nutrient absorption/metabolism. This can be a complicated process if you have a baby with renal failure, a cardiac condition or a GI issue. Each of our patients, is like a puzzle that we are working on figuring out during their hospital stay. In addition to charting on each of these patients, I help to oversee the formula room. This is the place in our hospital where all the feedings are made by dietary technicians. We make 24 hours worth of feedings for all of our patients and we help to make sure that these techs are doing their job right. These techs are valuable part of our team and help ensure that the nutrition plan the dietitian comes up with is put into action. I wanted to share my job with you, because it is different. Hopefully this is a helpful little snap shot into the world of neonatology through the eyes of the dietitian. It is an amazing place to be and I enjoy being able to play a small role in so many children's lives.